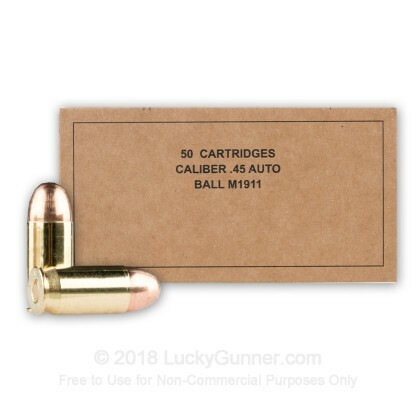 This .45 ACP ammo from Winchester is not too different from the military ball ammo used by tank crews, officers, MPs, and other American and allied soldiers who used the M1911 during its long service history. 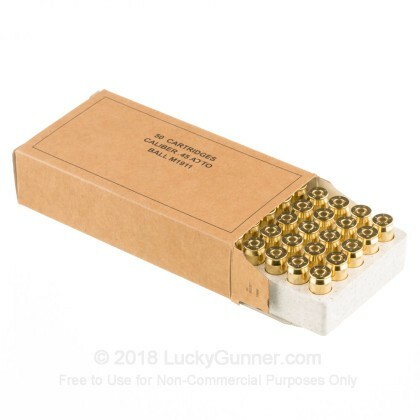 Each round in this box of 50 fires a 230 grain full metal jacket bullet at about 865 feet per second. 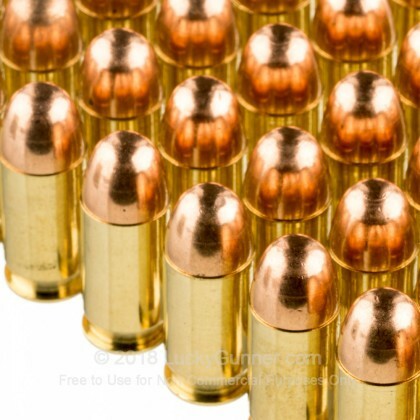 This is a great range round for 1911s and other .45 Auto pistols! These cartridges are manufactured in Oxford, Mississippi at Winchester's newest assembly plant. They use non-corrosive Boxer primers and brass cases. Winchester is one of the most well-known names in the shooting industry. The company's main line of business is not its illustrious firearms (which are licensed produced by FN/Browning) but its ammunition. Winchester ammo comes in many varieties to suit the needs of any gun owner and is also widely used by law enforcement agencies. I have had no problems with the 1000 rounds I have purchased...about half way through. As previous reviewer, good basic ball for the range. 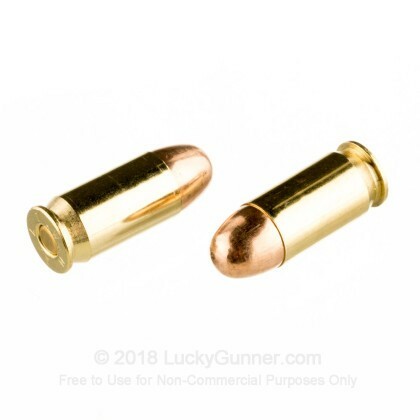 My go-to for .45 ACP. Basic ball ammunition, so it won't do tricks like RIP rounds, but it shoots straight and reliably in my RI1911. Previous poster may have gotten a bad batch or have a dirty/malfunctioning extractor. Must have got a bad batch! Purchased 2 boxes of this stuff. Multiple FTE's - went to other brands, including Win White box. 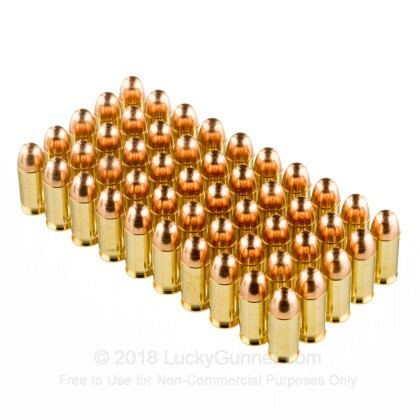 No problems with other ammo. For the price - this stuff just isn't worth it! 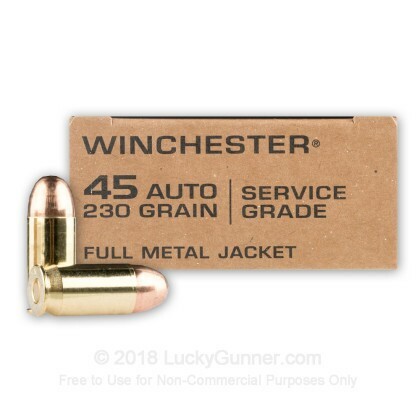 We also have this 45 ACP - 230 Grain FMJ - Winchester Service Grade - 500 Rounds ammo in stock in a bigger quantity.